In this page, Authentic Stone Creations – conveniently located in Lexington, Kentucky (KY) – is here to tell you about the custom stairways for home outdoor areas we can build for your home. Contact us today for any of your masonry needs. Have you ever thought about transforming your outdoor space? It can be easy to become so focused on the interior of your home and its aesthetic that you neglect the decorative possibilities outdoors. Updating your backyard or patio area doesn’t have to require designing an entirely new space, but rather can be enhanced by just incorporating a stairway. Stairways are a beautiful way to bring together natural elements with a functional piece to make your area more appealing. They can be placed in a residential area, such as your backyard to lead to a pool area or fire pit or can also be great in more professional environments to be more appealing to customers. You can choose between a custom stone stairway or a custom concrete stairway. Depending on the look you desire, you can pair different materials to create a more striking appearance to your space and add depth that makes the area seem larger. Although the stairways are designed mostly for functionality, don’t be afraid to use them as decorative pieces. Custom stairways can make your space seem more inviting and create a more leveled area for your backyard, front yard, or other outdoor spaces. Stairways can be designed based upon your specific preferences and needs. Similarly, if you are having trouble deciding which specific stone works best in your space, we have trained professionals that can help determine which best flatters your home or place. Not only are stone stairways attractive, but they do not require a lot of maintenance and are known for their durability. They can withstand natural elements, such as weather damage and sun fading, better in comparison to other forms of stairs. 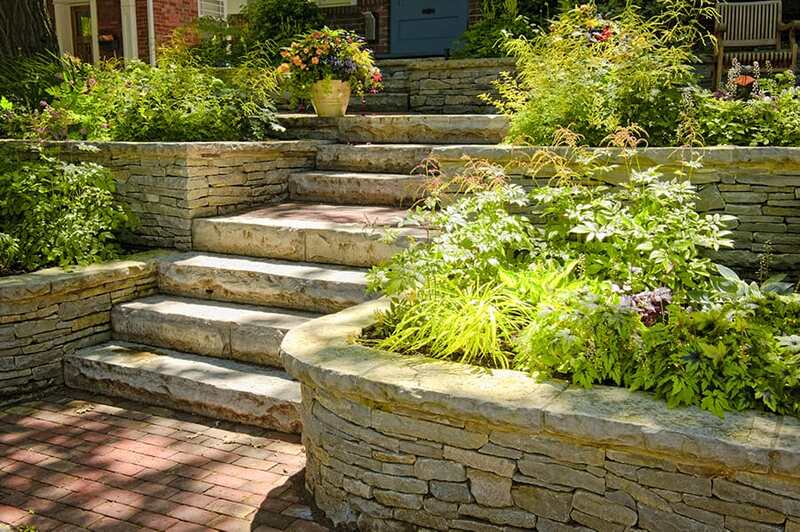 If you are interested in finding a natural way to lead friends to your backyard garden or clients to a space on your property, consider incorporating a stairway into your space. For information regarding stairways and the services we offer, come see us at Authentic Stone Creations. We are located in Lexington, Kentucky and serve the surrounding areas.